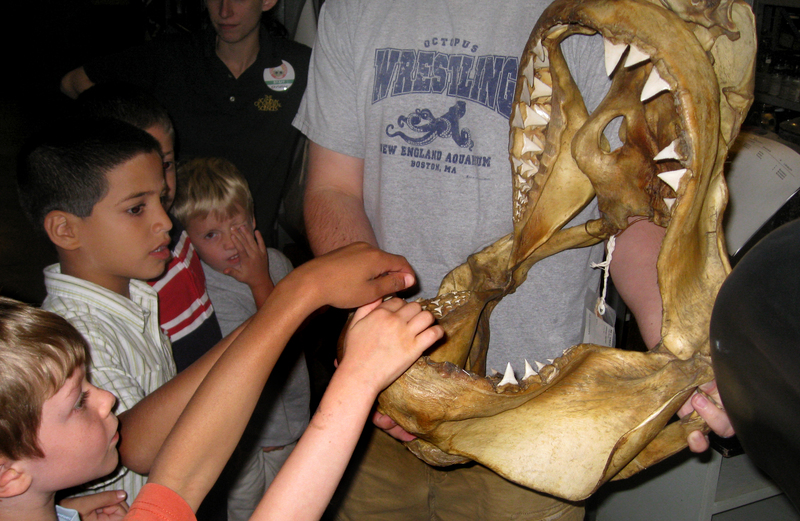 Inspecting a shark jaw during Academy Explorers Camp. PHILADELPHIA (February 24, 2015) — Summer is a great time to explore nature, and Bug Fest, summer camp and an exhibit about the squishiest, stinkiest, slimiest creatures on Earth offer some wonderful ways to do that at the Academy of Natural Sciences of Drexel University. And there’s more. For details and updates about the following programs, please visit ansp.org. Museum admission can be purchased in advance at http://ansp.org/visit/plan/tickets/. The Academy of Natural Sciences of Drexel University is offering a special fall Academy Explorers Camp when schools are affected by the visit of Pope Francis. Academy Explorers Camp offers children ages 5–12 a unique, fun and engaging experience with science and the many exhibits the museum has to offer. The camp will run from 9 a.m. to 4 p.m. with optional before and after care. For details, visit ansp.org or call 215-299-1060.